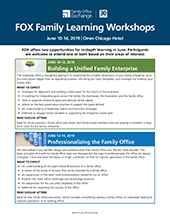 The FOX Building a Unified Family EnterpriseTM workshop will show you and your family how to design a long-term plan for your Family Enterprise. The workshop will give you the tools you need to implement a vision and a plan for your family’s future together. Attendees will learn about developing a framework for their own family enterprise plan, a process for outlining critical action steps, and the key questions every enterprise must consider. This workshop offers a thoughtful approach to organizing the complex dimensions of your family enterprise, once you have grown bigger than an operating business. We bring you tools, templates, and strategies for building your master plan. Ideal for family members, family office executives, and family board members who are seeking to establish a longterm vision for the family enterprise. See the grid below for registration options. All registrations are subject to approval by FOX. Please note that a discount may be available to additional paid attendees from your firm. 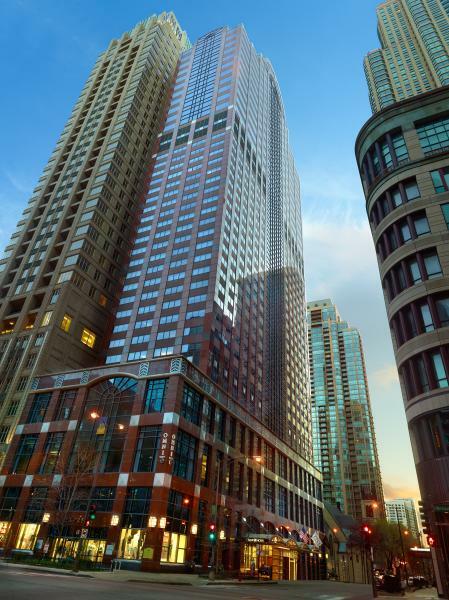 Contact Family Office Exchange via phone at 312.327.1221 or email events@familyoffice.com to receive the additional paid attendee coupon code. Registrations are subject to approval by FOX. REFUND POLICY: For event registrations, refunds of payment or forum allotments will be offered if the cancellation is made in writing to Family Office Exchange at events@familyoffice.com five (5) or more business days prior to the start of the event. For more information regarding administrative policies please contact FOX office at: 312.327.1200. Field of Study: Finance - Up to 9 CPE credits can be earned by attending this event. CPE credits are accepted at the option of state certifying boards. Requirements, compliance procedures and acceptance may vary by state. Learning Objectives: Upon completion of this program, participants will gain an understanding of how to develop a long-term plan for a family enterprise strategy. Additional program objectives include: strategies for building a clear family enterprise vision, how to build a roadmap for integrating goals across the family enterprise, tools to organize goals and allocate family capital, governance structures to consider, an understanding of leadership talents and transition strategies, as well as methods to engage family members to support the enterprise master plan. Family Office Exchange is registered with the National Association of State Boards of Accountancy (NASBA) as a sponsor of continuing professional education on the National Registry of CPE Sponsors. State boards of accountancy have final authority on the acceptance of individual courses for CPE credit. Complaints regarding registered sponsors may be submitted to the National Registry of CPE Sponsors through its website: www.NASBARegistry.org. Families with an enterprise mindset recognize the complexity of all that they own together and understand the importance of managing its business, financial, human, and social capital in a thoughtful and intentional way for the good of all owners. In this session, FOX will show you how to develop a Family Enterprise Framework that supports the vision. This process will help you organize your thinking and your resources to build a framework for the future. What makes your family unique? Where is the energy in the family? What are the synergies in working together? All of these questions are important to consider as you contemplate the challenges and benefits for the long-term. Sharing ownership means sharing control, and sharing control means sharing risk. Having frank conversations about the benefits of staying together, and the work involved in doing so, is critical to securing the collective family’s commitment to the family enterprise and a future together. It helps to begin with an understanding of the past as a prologue to the future. “Every generation is a first generation.” With each transition of leadership, it is important to review the purpose of the enterprise and the vision for where you are going together. Understanding the world’s driving forces and mapping the family’s collective views on risks and opportunities are ways to engage the family in productive dialogue about the future. Scenario planning provides a safe means for considering alternate paths for the future and gaining consensus around the best way forward. Crafting the desired future vision from many possible future scenarios will give the family confidence and clarity about their future direction. Just as you engage in strategic planning for the family business, so must you engage in planning for the family enterprise. Developing a family enterprise strategy means considering the goals of the business, the goals for family unity and engagement, and the family’s commitments to community and philanthropy. Looking at the financial assets in an integrated manner with the input of the family, the family office (if one exists), and the trusted advisor team is an important part of the process. The family must articulate the enterprise goals in a substantive manner, and work together to define how success will be measured. Effective governance involves the development of a system (principles, policies, practices) that fosters trust, balances power, and helps family members work together to further their collective goals in a productive manner. Each layer of governance (e.g., Family Assembly, Family Enterprise Board, Family Committee) has unique roles, responsibilities and criteria for involvement. Good governance provides a means to navigate the inevitable transitions every family enterprise encounters. Most families want their wealth to be a source of satisfaction for their children and grandchildren. Developing a culture of learning and investing in a systematic approach to delivering ageappropriate financial education and leadership training is the best way to prepare family members to be responsible owners of wealth and lifelong contributors to the family enterprise. Sara is a recognized visionary and credited with professionalizing the family office industry. She founded FOX in 1989 as a peer network for family office executives. Within 10 years, FOX could see that families needed help with their enterprise vision, managing financial transitions, and educating family members on responsible ownership. Today, Sara provides strategic direction for FOX and leads the development of new programs and services supporting family enterprises, family office executives, and wealth advisory firms in more than 27 countries. Sara is the co-author of Family Legacy and Leadership: Preserving True Family Wealth in Challenging Times. She also serves on the executive education faculty of the University of Chicago Booth School of Business, where she is an adjunct faculty member for their Private Wealth Management course. She is on the founding boards for the International Private Directors Association and the Foundation for Gender Equality. Miguel is responsible for delivering FOX services to current members, and actively works to expand the network in Europe and Latin America. His base is in Madrid, but he spends half of his time in Latin America. Miguel has most recently been director of the family office for one of Europe’s leading real estate families, with specific responsibility for designing and implementing the family’s investment strategy and for providing owner education to the younger family members. 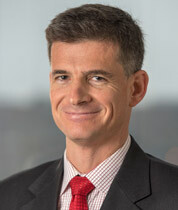 Previously, he worked at UBS Wealth Management in New York, Chile, and other locations in Latin America. He began his career at Bain & Company as an Associate Consultant in London and Madrid. He has an M.B.A. from Harvard Business School and a B.A. in Economics from Universidad Pontificia Comillas (ICADE) in Madrid. Robin is responsible for developing and growing the Family Enterprise Center—a unique network of 100+ multi-generational families who strive to build and retain an enduring family enterprise. These families believe in the benefits of co-ownership of family capital and collaboration in family endeavors. Robin advises families on identifying opportunities and risks, allocating family capital, optimizing and trusting their governance structures, and educating the rising generations about life-long learning and leadership. Robin brings over 25 years of strategic problem solving to FOX honed through her experiences as a General Counsel, Board Member of a 4th generation family-owned business, law firm Partner serving family-owned businesses, and a Director on various non-profit boards. Robin received her J.D. from the Northwestern University Pritzker School of Law and her B.S. in Finance, with highest honors, from the University of Illinois, Urbana-Champaign. She also attended the Northwestern Kellogg Executive Education program on Governing Family Enterprises. She currently serves on the boards of the Chicago Foundation for Women and Open Communities. Workshop attendees are responsible for making their own accommodation arrangements. The cutoff date for hotel reservations at this special rate (subject to room availability) is Wednesday, May 15.